Usain Bolt, the fastest man in the world, nicknamed “Lightning”, is now a Swiss watch that bears her name and image. 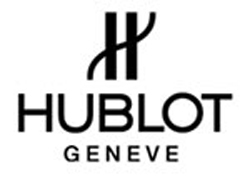 Hublot has been – which is a testimonial – to develop the special model designed in close collaboration with the sample, the very year that every appointment biggest sporting quadrienio stimulates the imagination of the designers of the most important brands. Usain Bolt – 25 years old this year – has just started its season with a flourish running the 100 meter dash in a time of just 9” 82 in the National Stadium in Kingston, Jamaica, in preparation for the races this summer in London where will defend three titles: 100, 200 and 4×100 meters. “I think it’s a good start. Greatly improved from last season (for his return, Ed), and this leads me to conclude to be in better shape this year, “said Bolt, who had opened the 2011 season with a time of 9” at 91 the meeting in Rome on 26 May. He wished that his watch was a condensation of the symbols that are dear to him. Starting from its silhouette, IL unique gesture that became his “signature”, stylized and immediately recognizable in gray on black at 9 am at the center of the permanent small seconds counter movement. Another symbol … have chosen to be the center of a chronograph permanent, that could symbolize time running and never stops. The chronograph movement – 60 seconds with the hand in the center – also has a 30-minute counter at 3 (which should be useful in the preparation of key gestures during the final countdown started before each race). The 12-hour chronograph counter at 6 o’clock exhibits a touch reminiscent of green national colors of his beloved country, Jamaica. Essential.